Who’s Afraid of Margaret Thatcher? Ken Livingstone is a product of the political changes that have already taken place in the Labour Party. As Leader of the Greater London Council he has provided a voice and a vision for tens of thousands of party activists and Labour supporters, in the process implementing a set of measures that indicate the possibilities of a real alternative to Thatcherism. His determined opposition on the Falklands War, subsidised public transport, Ireland, the 1984 miners strike, sexual liberation and racism has made him a far more effective spokesperson for Labour than the shadow luminaries who occupy the front benches in the House of Commons. 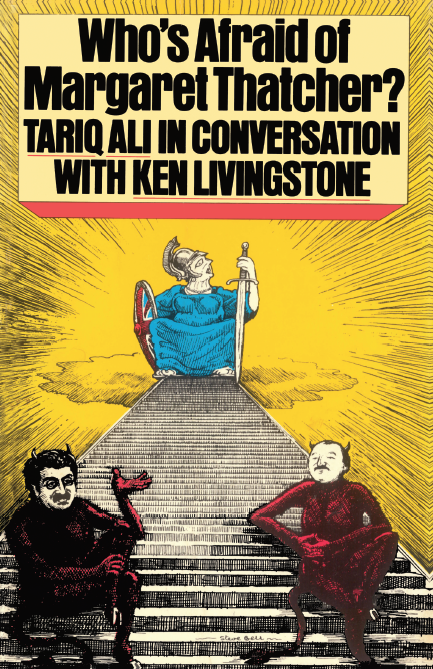 In these fascinating conversations with Tariq Ali, the Marxist writer and activist debarred from the Labour Party by Kinnock/Hattersley, the two men discuss the future of Labour and socialist politics in Britain. What emerges is a picture of Livingstone as a formidable socialist politician and an adroit tactician, who displays a refreshing ability to discard the stale and battered formulae of traditional Labourism. Socialism is defended with humour, warmth and passion in a discussion that ranges from the merits of proportional representation to the delights of herbaceous borders in London's parks. In a polemical introductory essay, 'Labourism and the Pink Professors', Tariq Ali contests the views of Bernard Crick and Eric Hobsbawm, which have become the 'common sense' of the consensual Establishment in the Labour Party and the liberal media.